"Hi guys! Thank-you so much for the great job you did for our client today. She said she was very pleased with all your hard work. It’s always a pleasure to deal with you and your team!" I wanted to thank you for accommodating me at the last minute with my move and for doing it with such care and grace. You and your team were a pleasure to deal with and I appreciate how fast you made it all happen. I will definitely recommend you to friends that are moving and hope to be calling you in the near future when I purchase my apartment. You moved some stuff for us this week. I just wanted to thank you. 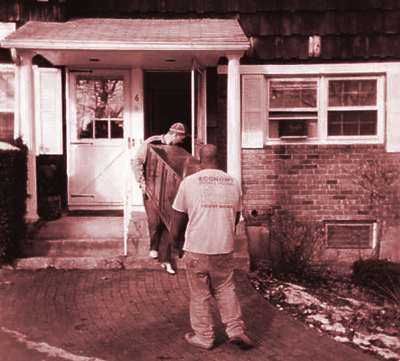 If you could extend our thanks to the movers themselves, we would appreciate it. They did an excellent job and we are extremely satisfied. If you want to use our name as a reference anytime, please feel free to do that. Thanks again. We received the furniture that was donated to us this past Tuesday. The workers were excellent, God bless you. We thank you so much. Everything went so smoothly. We just wanted to call and say thank you, we will be referring you to everyone. So have a wonderful day. Thank you for the move and God bless you. Hi! It's Donna, you moved me today from Commack to Kings Park and I just wanted to let you know that the guys who moved me today were awesome. They did such an amazing job. I just wanted to let you know you have good people and that I will defenitely be referring you to anyone that is moving. So, I just wanted to let you know. Thanks again for getting me in so quickly, I appreciate it. Thanks! You moved us on Saturday last week. I want to say thank you very much. The guys were absolutely wonderful, they worked so hard, and they could not have been nicer or more helpful. Thank you. 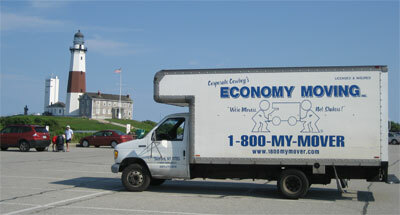 © 2007 1-800-MY-MOVER, Economy Moving and Trucking Inc.